Several phenomena have contributed to the increased attention paid to albinism in the past decade. The terrible atrocities inflicted on persons with albinism in East Africa made international headlines. In response, local and global actors – from the Tanzania Albinism Society and the Canadian NGO Under the Same Sun (UTSS) to the United Nations – have increased and/or started campaigning against such human rights violations. A social movement by and for persons with albinism emerged. At the same time, models with albinism – especially Shaun Ross and Diandra Forrest from New York City – became famous in the global fashion world. They, too, have made international headlines. Both phenomena contributed to a wider circulation of knowledge, texts and images about and of albinism. They also emphasize the fact that albinism is much more than only a medical phenomenon (Krings 2017). Albinism has come into focus today as a social and aesthetic reality. Stigmatization and fascination are, nevertheless, not new reactions toward hypopigmented bodies. From the Enlightenment era, through freak shows in the 19th and 20th century, to Hollywood films, they were interpreted as racially transgressive, wonders, oddities or even otherworldly figures (Hohl & Krings 2019). 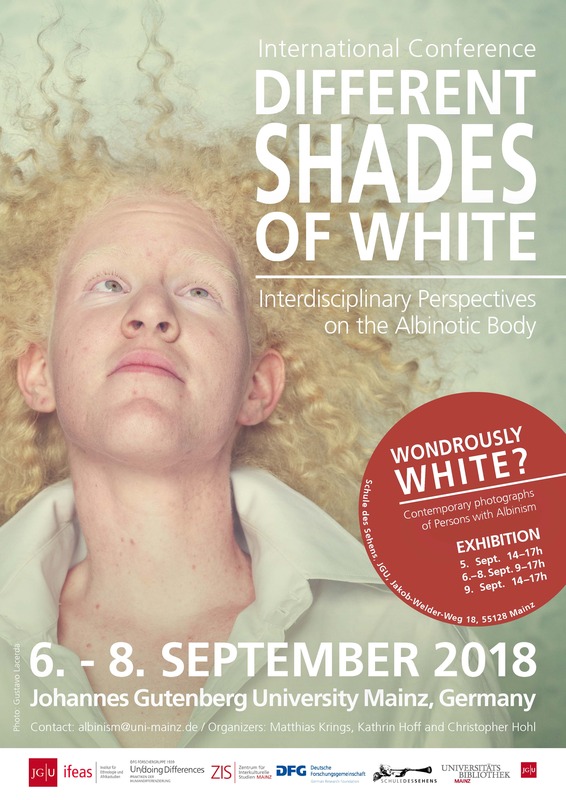 This multiplicity of perspectives on albinotic bodies was the focus of the international conference ‘Different Shades of White: Interdisciplinary Perspectives on the Albinotic Body’ held at Johannes Gutenberg University Mainz (JGU) from 6 – 8 September 2018. The conference conveners Matthias Krings, S. Kathrin Hoff and me, Christopher Hohl, from the Department of Anthropology and African Studies at JGU Mainz, are members of the research project ‘Un/doing Albinism: Recodings of a bodily difference through historically shifting frames.’[i] We invited contributors from inside and outside academia to discuss the varying perception, status, representation and treatment of albinism across different times and locales, and to exchange views about the practical, political, artistic and scholarly issues at stake. Our allusion to ‘different shades,’ i.e. a diversity, of white was meant to refer to not only a common racial misreading of black albinotic bodies, but also to draw attention to the many different experiences of persons with albinism around the globe, as Matthias Krings explained in his welcome speech. The conference opened with two keynote lectures. The first was given by Ikponwosa Ero, the United Nations Independent Expert on the enjoyment of human rights by persons with albinism. Drawing on an intersectional approach, she emphasized how persons with albinism face discrimination on grounds of disability, as well as color. Regarding the latter, she said that the situation of persons with albinism is sometimes similar to that of racial minorities facing racial discrimination. Referring to philosopher Elvis Imafidon and his study of the ontological otherness of persons with albinism in African thought (2018), Ero urged that measures beyond the scope of law are necessary. Therefore, as a UN Independent Expert, she aims to advance advocacy for persons with albinism from immediate charity work to long-term human rights, ‘reasonable accommodation’ and, eventually, a change of perception. In the second keynote lecture, Charlotte Baker (Lancaster University) reflected on the changing literary representation of persons with albinism and the influence these representations exert. Many older novels construct persons with albinism as negative, flat and hard to relate to characters (Baker 2011). Recent years, however, have seen a new wave of positive and more rounded representations. Baker reminded us of the responsibility that comes with representation and emphasized the possibilities of the arts as educational tools (Baker & Lund 2017) to counter ‘dangerous speech’ (dangerousspeech.org). An overreliance on the vulnerability of persons with albinism – whether by writers, journalists, advocates or scholars – risks reproducing old stereotypes, she warned. What is needed instead, Baker concluded, is a balanced narrative focusing on the potential of persons with albinism and, hence, the inclusion of their voices. Participants of the conference ‘Different Shades of White: Interdisciplinary Perspectives on the Albinotic Body’ at JGU Mainz. Copyright: Christopher Hohl. Three sessions structured the conference. The first session, titled ‘Albinism around the world,’ comprised papers on the varying conceptions of hypopigmented bodies in different times and locales. Enrico Pasini (University of Turin) elaborated on the ‘troubling anomaly’ that albinotic bodies posed in the eyes of European observers for centuries. Unknown to antiquity, as Pasini reminded us, the term ‘albinos’ only emerged in the context of early European imperialism. Spaniards used it for white children born to black parents on the Pacific island of New Guinea, as Bartolomé Leonardo y Argensola reported in 1609. Soon, accounts of such individuals in Ethiopia, Congo and Panama appeared and contradicted the common conviction about color constituting human essence, i.e. different colors denoting different humans. Such white offspring of black parents challenged ideas about the stability of nature long held by European thinkers in the eighteenth century. Such convictions about a steady constitution of nature where finally dismissed by Pierre-Louis Moreau de Maupertuis, who first developed a theory of heredity and variability to explain albinism (see also Pasini 2016). Médard Djatou (Ruhr-University Bochum) presented his ethnographic research on the local interpretations of albinism in Cameroon (also Djatou 2009). Apart from contextualizing different explanations for the birth of persons with albinism voiced by Cameroonians, Djatou discussed local nicknames, their underlying color symbolism and touched upon food prohibitions for persons with albinism. Through the analysis of Yoruba orature in Nigeria, Oluwole Coker (Obafemi Awolowo University Ile-Ife) traced the mythic-metaphysical roots of albinism in the Yoruba worldview. In face of such forms of local belief, he proposed culturally specific interventions to increase the acceptance of persons with albinism in Africa. In the last presentation from this session, Giorgio Brocco (Freie Universität Berlin) talked about the communicability of albinism in song lyrics and music videos. Contrasting the different strategies of Jamaican dancehall artist Yellowman and singer Salif Keita from Mali, Brocco pointed out how each musician’s work seizes not only on prevailing practices and discourses about albinism, but also reshapes them. Brocco then drew on his ethnographic fieldwork in Tanzania to lay out the intertwinements of local moral worlds and global humanitarian reasoning that Tanzanian musician Ras Six addresses in his songs (see also Brocco 2016). Christiane Velling represented the German self-help group ‘NOAH Albinismus Selbsthilfegruppe e.V.’ at the conference. During the breaks, she provided participants and guests with information material on the organization’s work and goals. 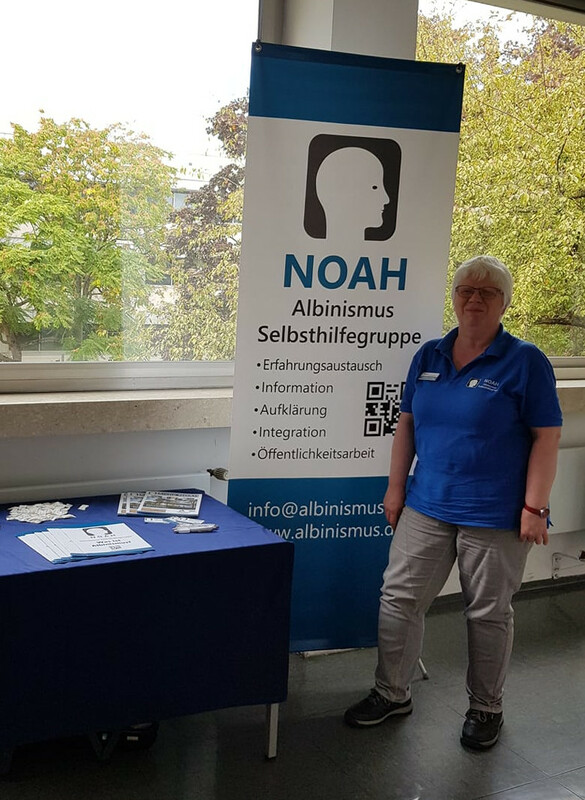 Christiane Velling of the German self-help group ‘NOAH Albinismus Selbsthilfegruppe e.V.’ next to her information stand at the conference. Copyright: Christiane Velling. Session two, titled ‘Politics of albinism,’ addressed different initiatives to attain and assert the human rights of persons with albinism and the broader identity politics these struggles are embedded in. Based on her ethnographic research, S. Kathrin Hoff (JGU Mainz) delineated the formation of the social movement by and for persons with albinism in Tanzania. Hoff was able to trace its birth back to a network of patients of the German-American oncologist Ulrich Henschke in the 1970s. Introduced by Henschke to the concept of albinism, these patients began contesting older perceptions of themselves as ghost-like ‘Zeruzeru’ and rallied for their acceptance as human beings. In the wake of a series of attacks and killings of persons with albinism in the late 2000s, international humanitarian organizations joined the national Tanzania Albinism Society in its efforts to end the atrocities against and stigmatization of persons with albinism. Hoff exemplified the development of this transnational movement in the changing scope of its annual awareness day: What began locally as ‘Albino Day’ in Tanzania in 2006 became ‘International Albinism Awareness Day’ in 2015. Renowned activist Jospehat Torner gave the next presentation. Rallying for the cause of persons with albinism in Tanzania since 2004, he introduced conference participants to his work and the new strategies of his foundation. To enlarge his audience, Torner began integrating albinism awareness raising into existing events (football matches, cultural festivals, etc.) Furthermore, with JTx18 his foundation offered donors the ‘Josephat Torner Experience’: climb Mount Kilimanjaro with Torner himself to bring awareness raising to the top of Africa. In the last presentation from this session, Charles V. Carnegie (Bates College) built on his earlier article ‘The Dundus and the Nation’ (1996). Using the marginalized positioning of the Jamaican albinotic figure of the dundus as a vantage point, Carnegie exposed the deep ambivalence and limits of racialized national identity politics. An analysis he now extended to current activism aimed at ‘bringing irregular bodies into normalcy’: Campaigns for the human rights of persons with albinism, Carnegie cautioned, try to make regular and adjust bodies deemed irregular to the very same ideological system that continuously and inherently produces new cases of irregularity and disparagement. For Carnegie, the Baha’i’s vision of the ‘oneness of humanity’ points to a way out of this dilemma. The third session, titled ‘Representations of albinism,’ assembled analyses on the varying ways albinism was and is presented and the effects these representations entail. Matthias Krings (JGU Mainz) delineated the development of the ‘White African’ as a cultural trope over the past three hundred years. By drawing on pictorial representations, Krings demonstrated how the figure of the ‘White African’ derives its significance from the notion of race. The racializing gaze has produced the ‘White African’ as an embodiment of ambiguity. Despite this continuity, a close reading of the images also revealed the historical shifts that race underwent in the past centuries. Subsequently, model, lawyer and activist Thando Hopa spoke about the ambivalence of her own media representation. Reflecting on her personal experiences, Hopa discussed the additional accountability that arises for her by representing multiple intersecting social identities. Taking a photo shoot or acting role, thus, often leaves her balancing between the demands of her clients, audiences’ expectations and the risk to compound stereotypes. 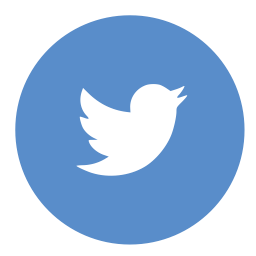 What might be a gain concerning the representation of one social identity might carry the risk of reinforcing prejudice about another. Hopa warned that the tendency in many media representations to position her albinism as the focal point of interest is liable to othering and dehumanization. Used responsibly, however, the transformative potential of media representation can also be used to disseminate stories of nuance and inclusion that represent albinism as part and parcel of human diversity, Hopa concluded. Nadja Gernalzick (University of Vienna) gave a report on her research on Robert Louis Stevenson’s short story ‘The Isle of Voices’ from 1891. Exploring Stevenson’s presumable sources, Gernalzick tried to determine whether one of the story’s native figures described as white refers to a person with albinism. She then contextualized the 19th century political situation in the Pacific and Stevenson’s position within it to develop the figure’s narrative function. In the session’s last presentation, Arturo Delano (University of Edinburgh) focused on albinism and motherhood in Nigeria and its global implications. Comparing two images of starving children with albinism – one from the Biafra war, another one from the current Boko Haram crisis – Delano showed how these figures’ representation originates in the Global North and functions to legitimize humanitarian intervention. Several photographers have explored the aesthetic potential of albinotic bodies in recent years. Many of them stress their motivation for advocacy, an impetus to alter the stigmatizing perception of persons with albinism. Complementing the conference, we exhibited a selection of images from four different photo series by international photographers: ‘Variation of White’ by Miia Autio (Finland), ‘Albus’ by Justin Dingwall (South Africa), ‘Albino Beauty’ by Paola de Grenet (Spain) and ‘Albinos’ by Gustavo Lacerda (Brazil). Viewers could compare the different visual strategies and the meanings evoked by them. The conference participants welcomed the accepting and inclusive gesture of many of the portraits during a joint visit of the exhibition venue and a subsequent discussion. However, they also voiced reservations given the fact that almost all the images gave no context to the individual portrayed. Photographer Antonino Condorelli (left) and anthropologist Charles V. Carnegie (right) discussing an image by South African photographer Justin Dingwall at the exhibition ‘Wondrously White?’ Copyright: Matthias Krings. Literature on albinism in the social sciences and humanities is relatively sparse, even more so academic conferences on the topic. Our conference included participants with and without albinism, academics with different disciplinary backgrounds and social activists. Maybe this was the first conference of its kind. Attendees, thus, welcomed the opportunity to network and exchange insights. Several presenters took up the adjective ‘albinotic’ from the conference title. Some might have taken it for a neologism. However, while rarely used, ‘albinotic’ – like ‘albinistic’ – has occurred since the nineteenth century. Using the noun ‘albino’ for a person is often criticized for asserting the condition as decisive of that person. The personality disappears, because the condition, allegedly, is all there is. One could argue that adjectives are less assertive, because they are secondary modifications to a primary reference. A person qualified as ‘albinotic,’ thus, is firstly a person and secondly further qualified as having albinism. This interpretation comes close to person-first language, although the phrasing ‘person with albinism’ is more explicit in putting the category ‘person’ before the additional descriptive category ‘albinism.’ Perhaps the adjective appealed to conference participants because it corresponds to common linguistic practice in English. Hence, it might sound more elegant than the phrasing ‘person with albinism’ does. In any case, our use of the adjective ‘albinotic’ in the conference title and its use by participants reveals a search for alternative formulations. Ogundipe Laofe Oladele (Afe Babalola University), himself a physician, proposed the term ‘hypopigmentation.’ Other participants objected due to its medical background and risk of pathologization. That, however, is a fate it shares with ‘albinism’ and its derivatives. 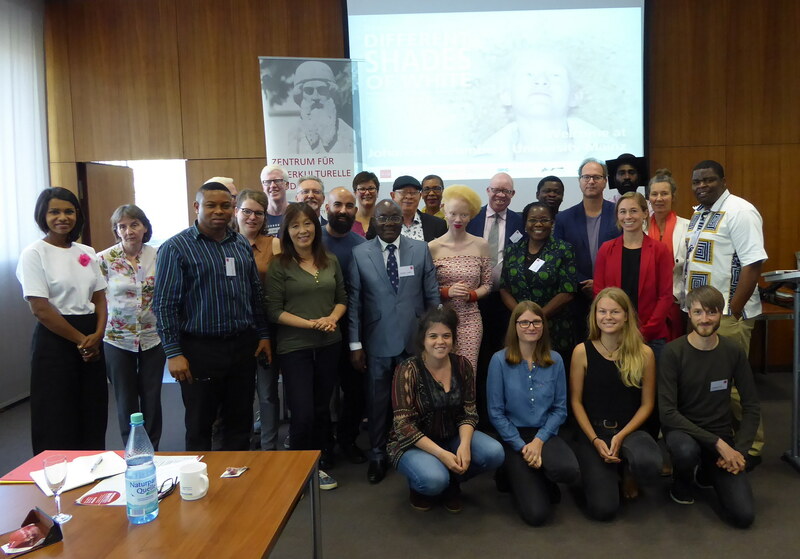 More than once, comments and discussions throughout the conference conveyed the differing approaches to albinism in academia and advocacy work. Josephat Torner, Jake Epelle (The Albino Foundation, Nigeria) and Tanzanian journalist Vicky Ntetema (formerly with UTSS) – all rallying for the cause of persons with albinism for years – stressed repeatedly the need for more education about albinism to dispel harmful myths and misconceptions. Charles Carnegie, while being sympathetic, pointed out structural dimensions which would require steps beyond education to remove them. Thus, the expectations of social activists that academics would provide them with research results substantiating their work were only partially met. Furthermore, differing approaches to truth and its singularity or plurality became apparent during the conference. On the one hand, arguments inclined to advocacy presupposed a certain, i.e. singular, truth about albinism that ruled out other conceptions. Thus, biomedical knowledge about albinism was put forward to discredit alternative views deemed not only wrong, but also dangerous. On the other hand, arguments exploring the diversity of knowledge about albinism and questioning their epistemological presuppositions were less absolute. From such a position, biomedical knowledge is also an object of inquiry and subject to critique. However, this was not a clear-cut dividing line between social activists and academics. Rather often, it ran through individual conference participants, as they felt torn between different demands. Both stances have their legitimacy. The first position seems inevitable in the face of stigmatization, discrimination, violence and murder based on ideas about a spiritual potency of albinotic bodies. In such a situation, the latter position questioning biomedical knowledge might look like undermining a just cause by relativizing its authority. However, these frictions were more instructive of different positionalities and their respective investments in claims of authority that our personal endeavors entail. It was a challenge to bring these up for discussion and do them all justice at the conference. However, I am sure it was a first step. The friendly and appreciative atmosphere at the conference bears witness to it. Christopher Hohl is a PhD candidate at JGU Mainz. 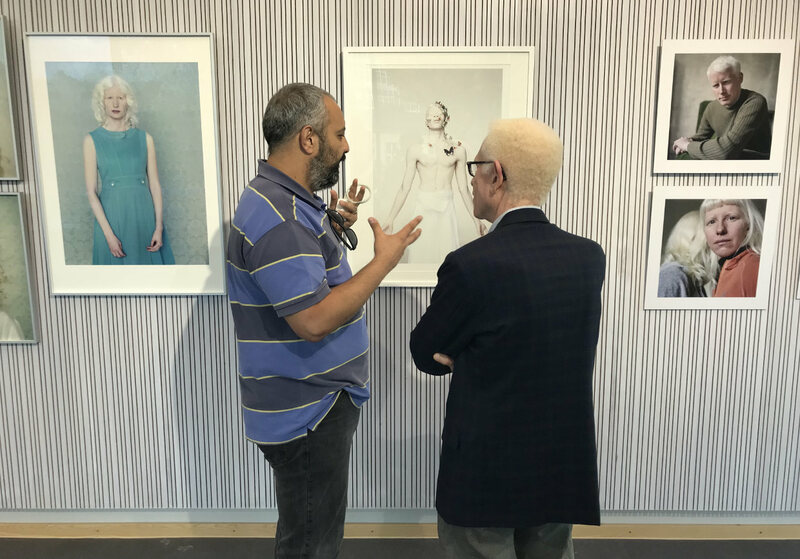 His research concerns the symbolically and socially ambiguous positioning of persons with albinism in fashion, art and popular culture, specifically concerning the notion of race. Baker, Charlotte. 2011. Enduring Negativity: Representations of Albinism in the Fictional work of Didier Destremau, Patrick Grainville and Williams Sassine. Oxford: Peter Lang. Brocco, Giorgio. 2016. Singing Albinism in Global Tanzania: “Demanding” Inclusion through Music. http://www.medizinethnologie.net/singing-albinism-in-global-tanzania/. Last access: 12/11/2018. Djatou, Médard. 2009. The “Wrong” Colour? Representations and Perceptions of Albinism among the Bamileke of Western Cameroon. In: Charlotte Baker (ed.). Expressions of the Body: Representations in African Text and Image. Bern: Peter Lang. 121–136. Imafidon, Elvis. 2018. African Philosophy and the Otherness of Albinism: White Skin, Black Race. New York: Routledge. Pasini, Enrico. 2016. A Prodigious Bodily Nature. Debates on Albinism 1609-1745. In: Adelino Cardoso, Manuel Silvério Marques & Marta Mendonca (eds.). Natureza, causalidade e formas de corporeidade, Ribeirão – V. N. Famalição: Húmus. 193–236. 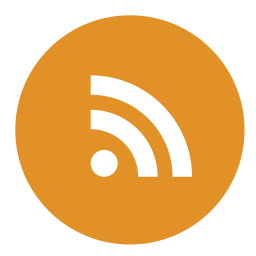 [i] The research project is itself part of the DFG Research Unit 1939 ‘Un/doing Differences. Practices in Human Differentiation’ at JGU Mainz. The conference received further funding from the interdisciplinary research platform Center for Intercultural Studies (ZIS) at JGU Mainz.